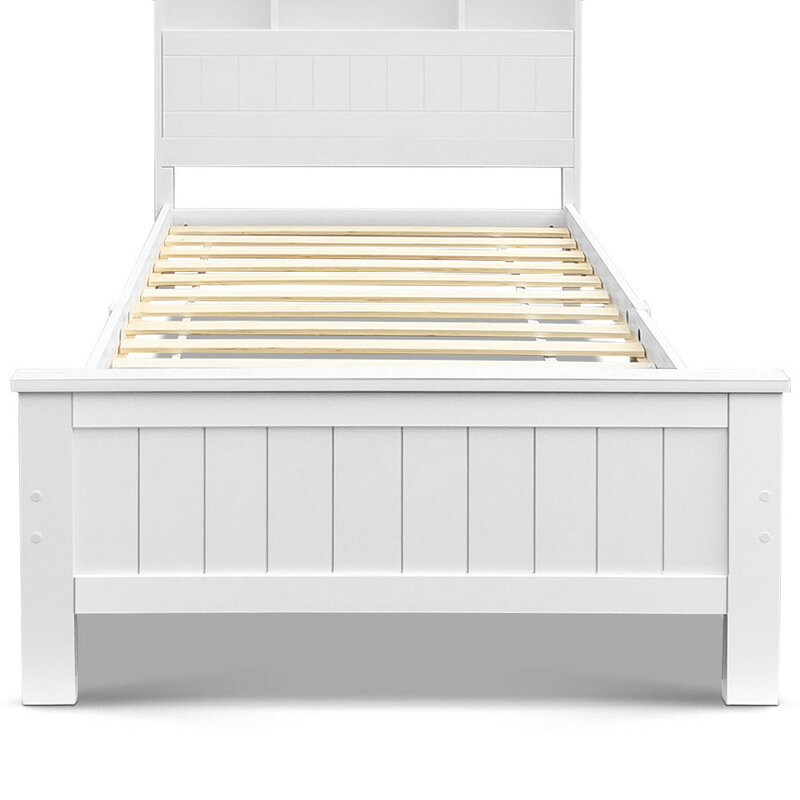 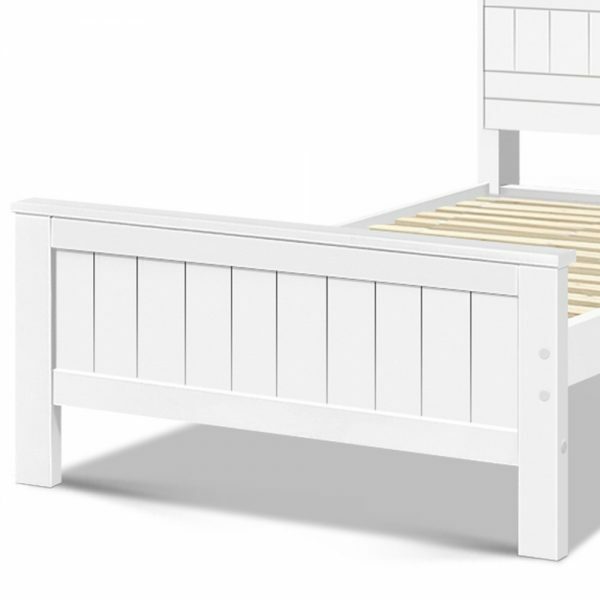 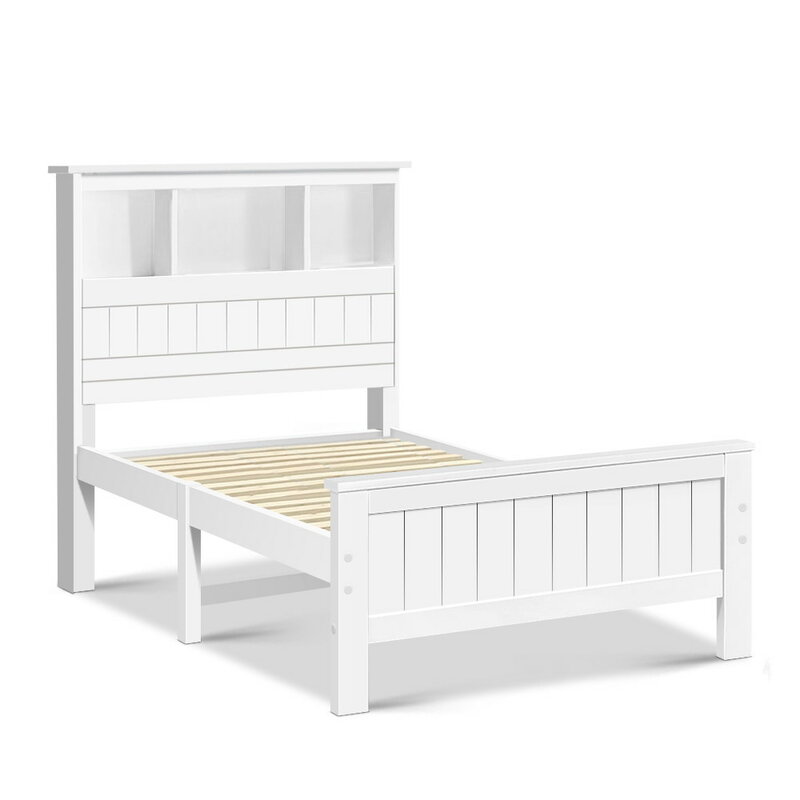 Made of natural pine wood, the King Single Wooden Timber Bed Frame is as ideal for kids as it is for any adult. 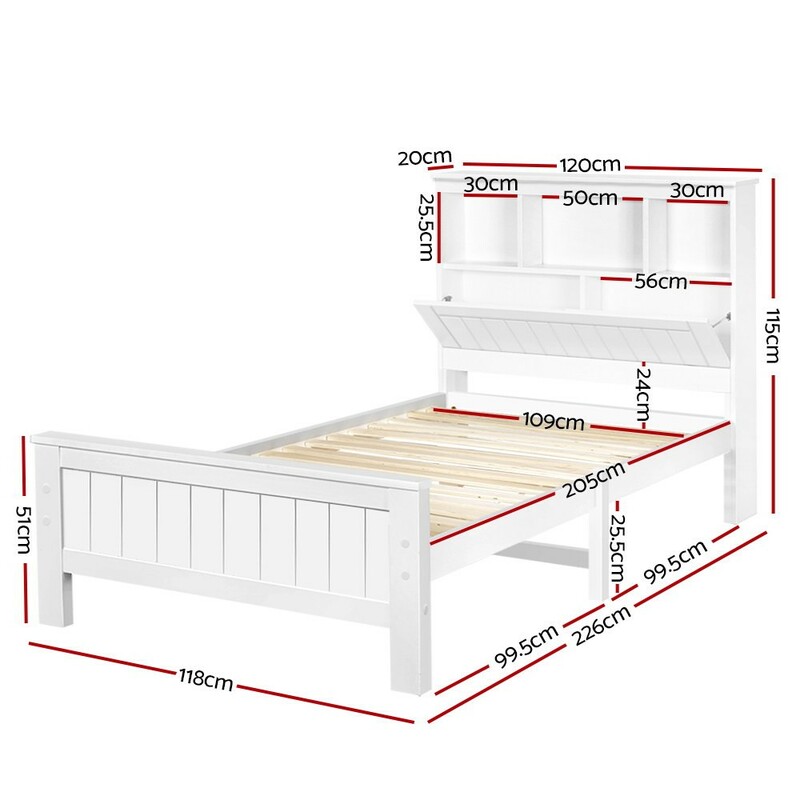 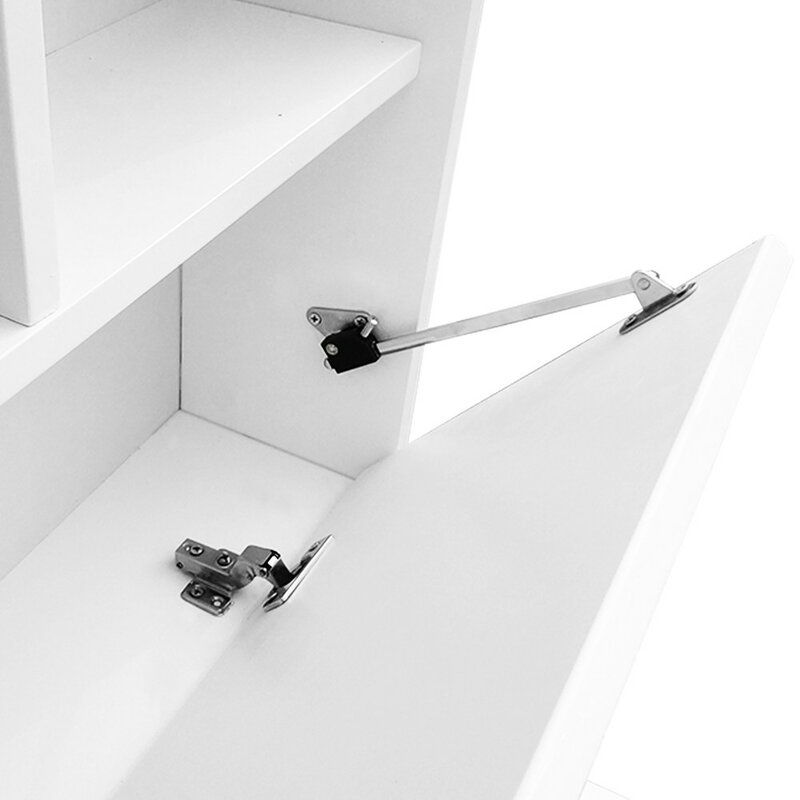 Strong and sturdy, the bed frame comes with a solid plywood slated base, reinforced supports across the frame, heavy-duty steel fixings and smooth edges all round. 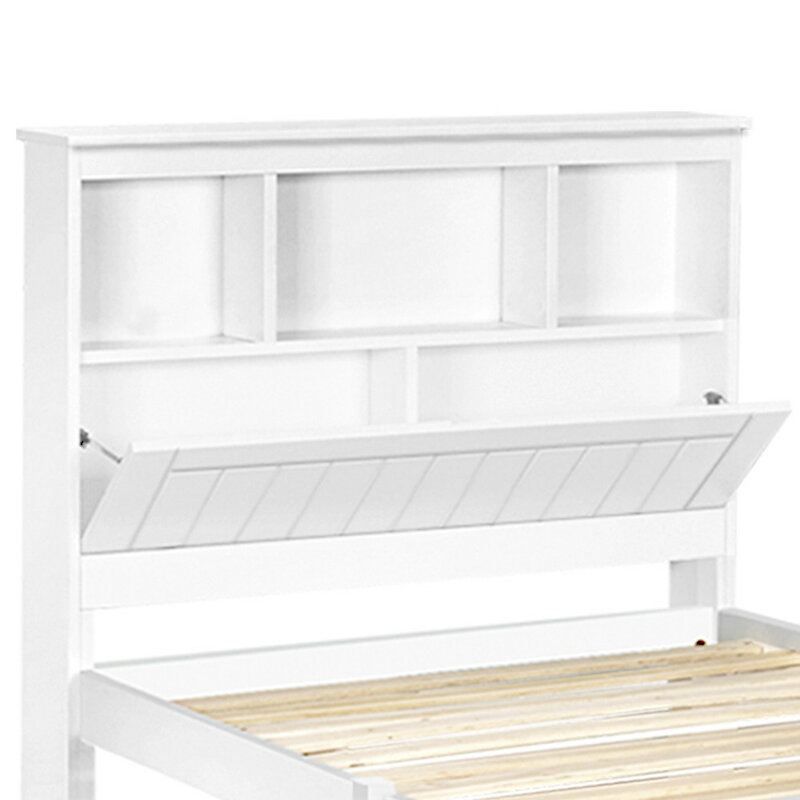 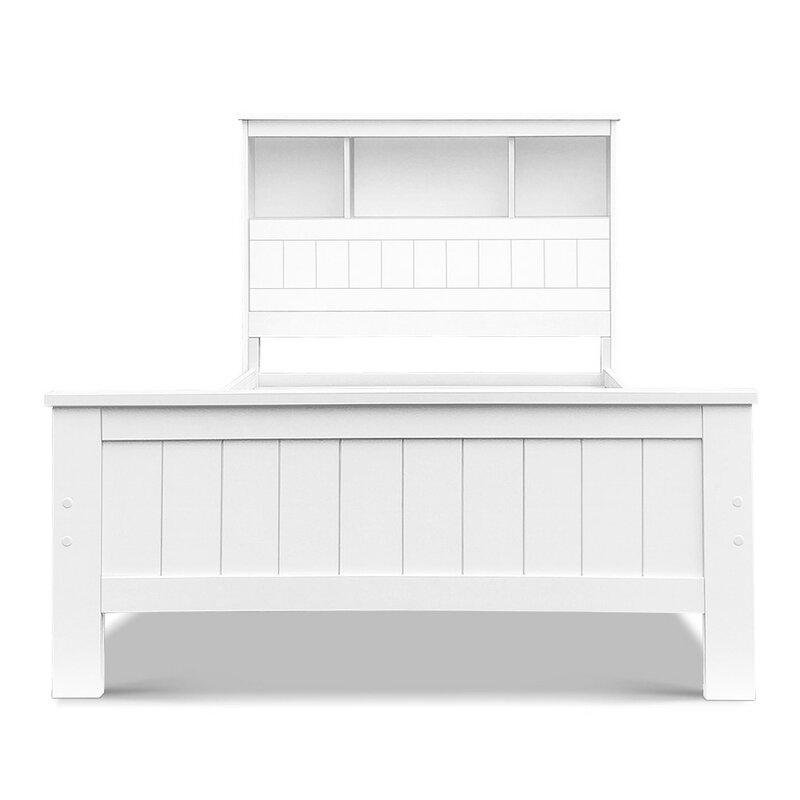 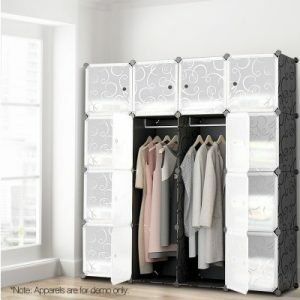 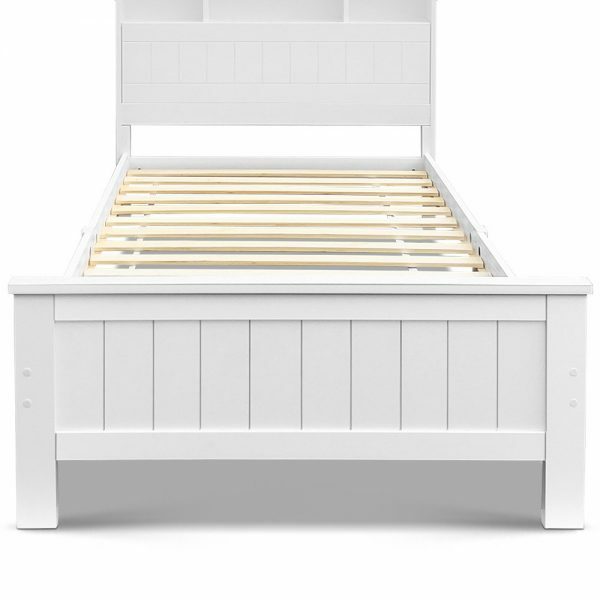 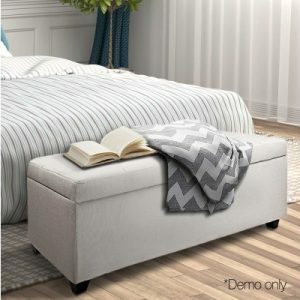 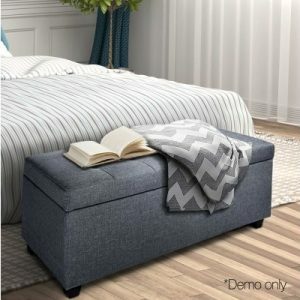 Finished in a non-toxic, eco-friendly white paint, the neutral coloured bed frame is also very practical with ample storage from a headboard that comprises three open compartments and a closed shelf that folds down as well as more room beneath the bed frame for optional trundle drawers or any storage boxes. 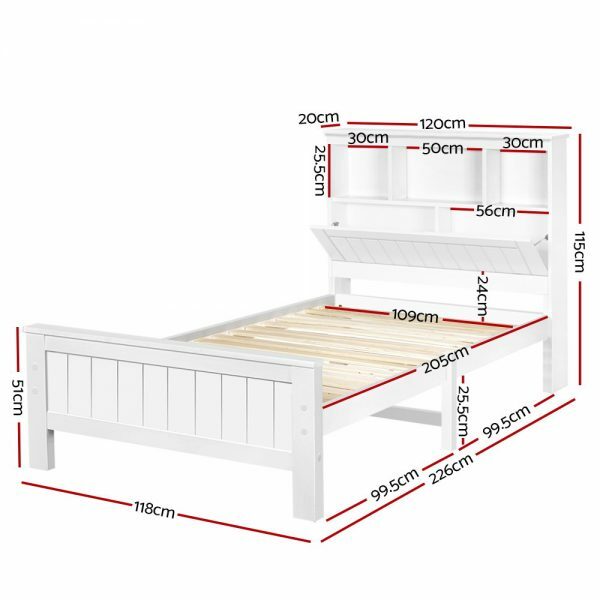 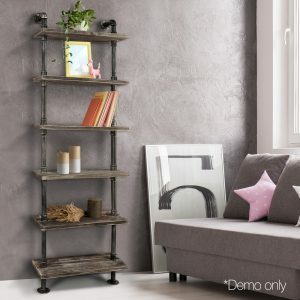 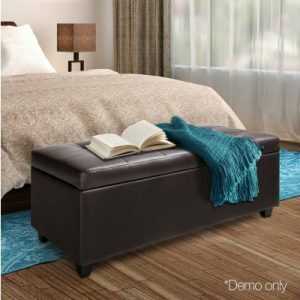 Fact it, this charming bed frame is designed to please in more ways than one.